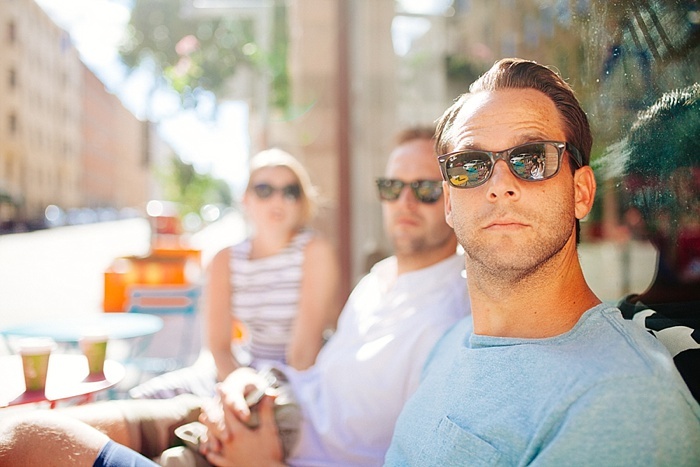 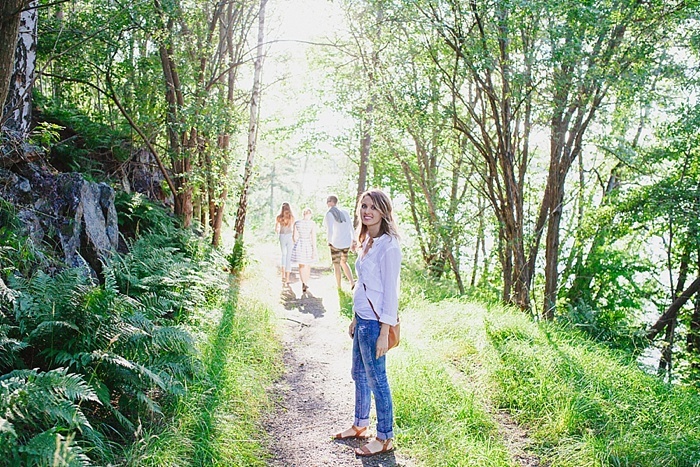 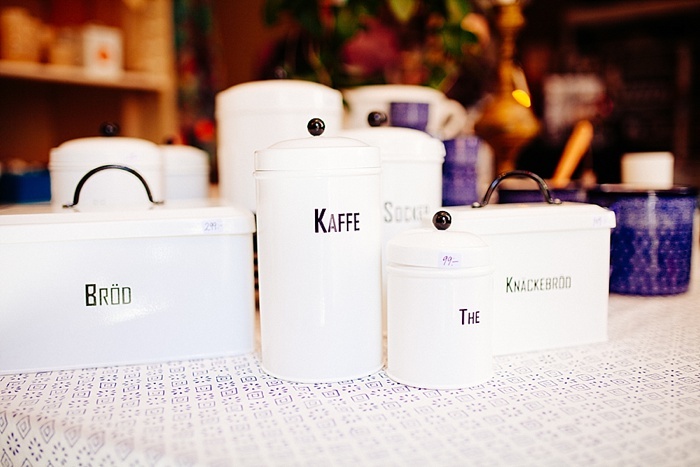 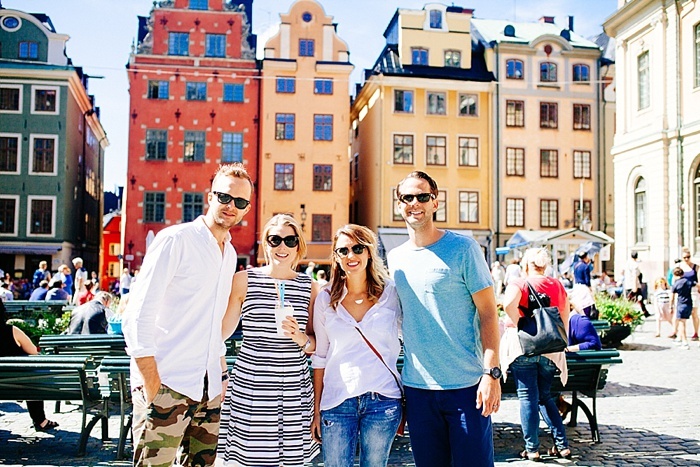 I am fffinnnnaaalllyyy getting around to our Swedish pictures. 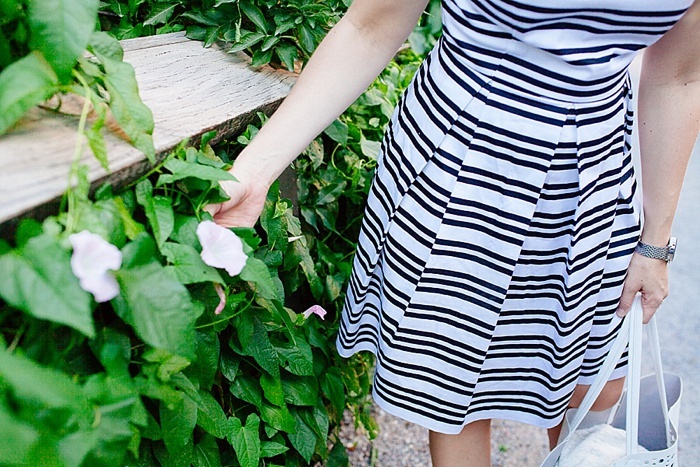 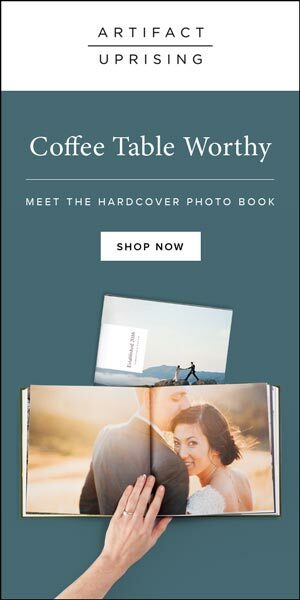 Oh goodness, I'm excited to share them with you! 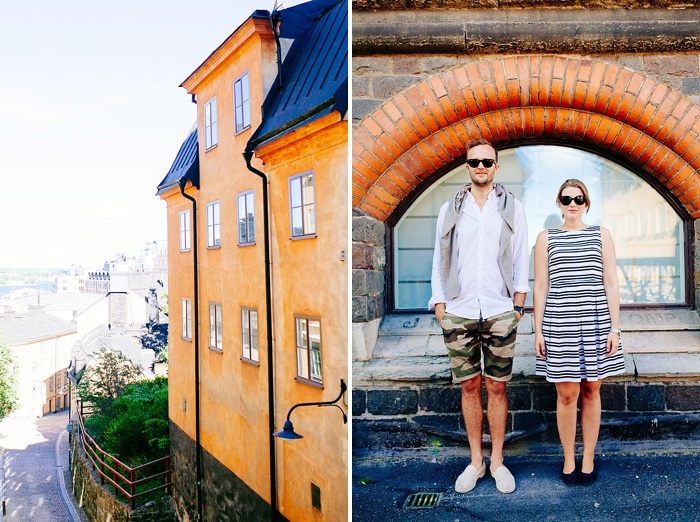 First, let me introduce you to my cousin Samuel and his wife Lovisa. 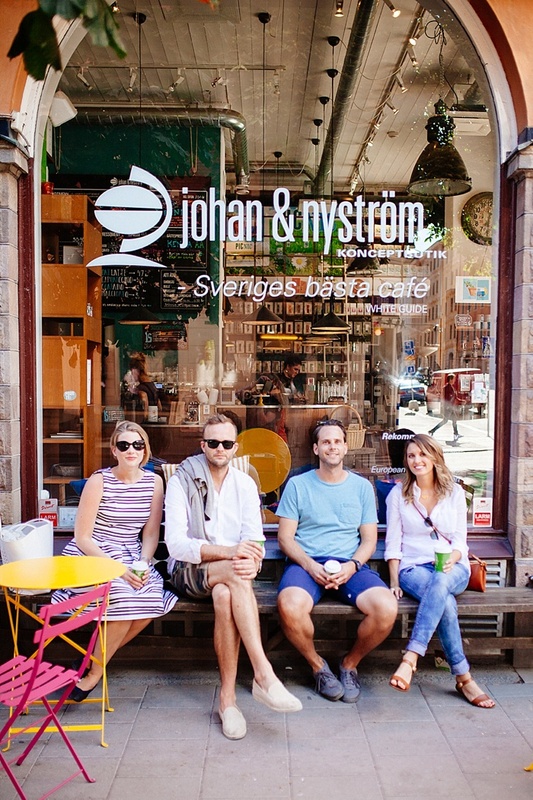 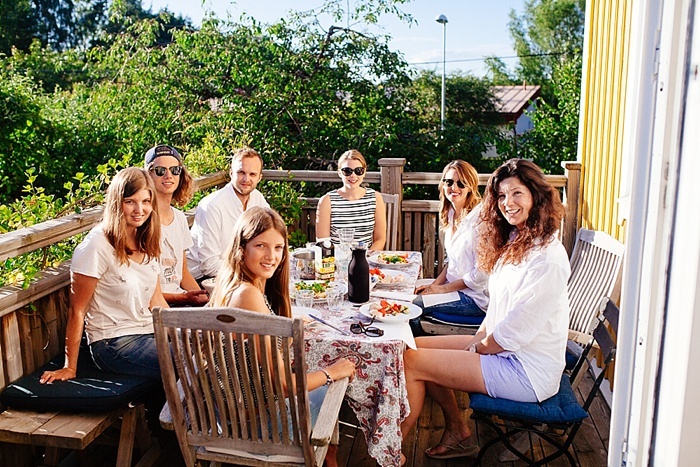 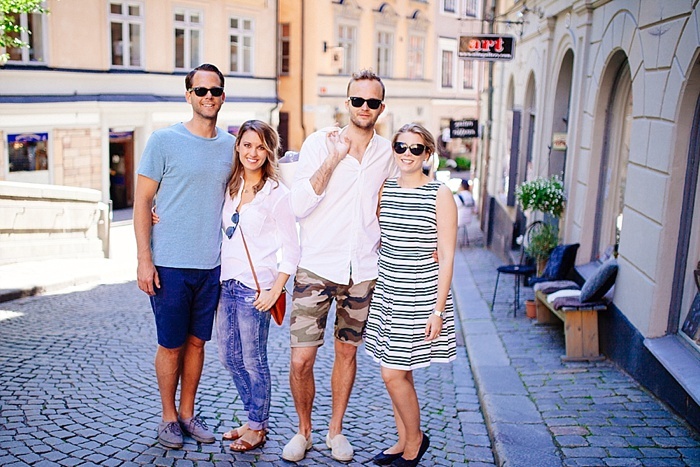 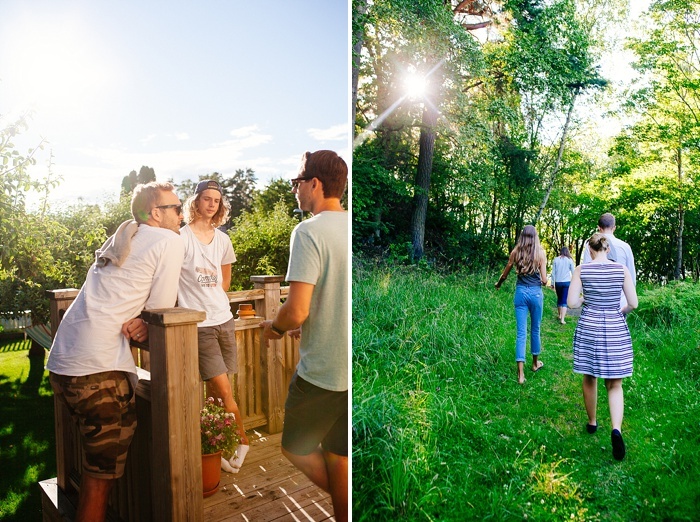 They are not only family, but some of our best friends, and it was a JOY staying with them in Sweden's capital city. 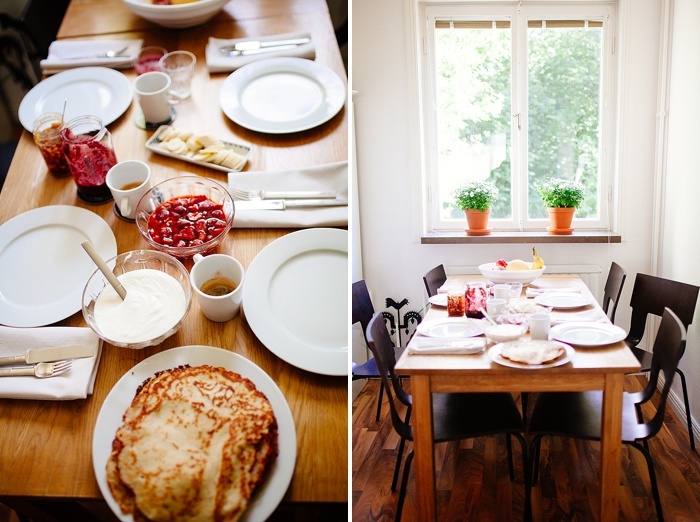 They live in an adorable apartment on the outskirts of the Stockholm, and every morning made us the BEST Swedish breakfasts ever:) We were in such good hands! 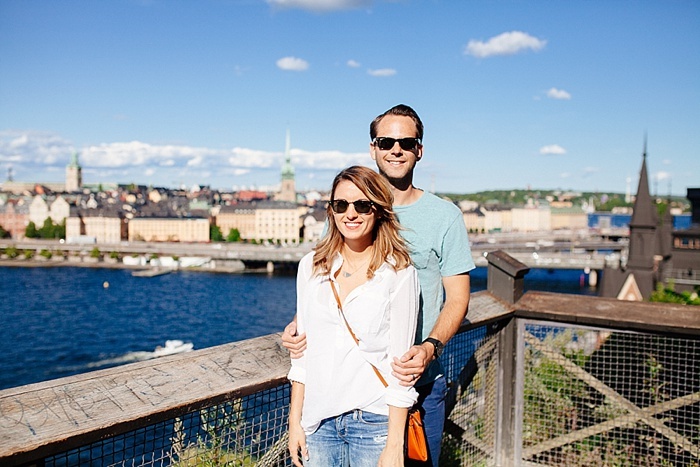 Our first day exploring Stockholm was just perfect! 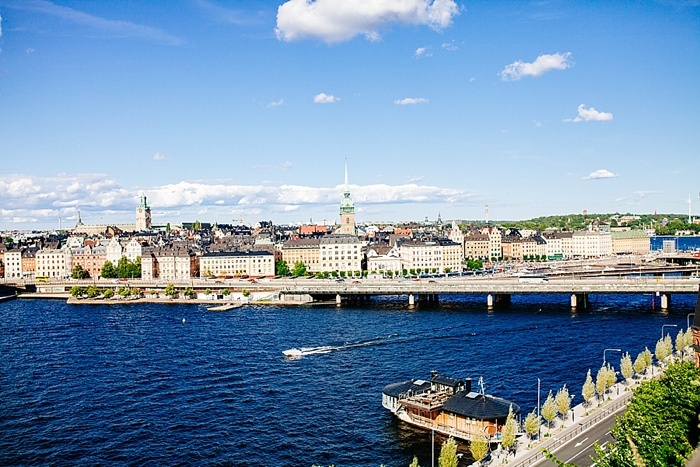 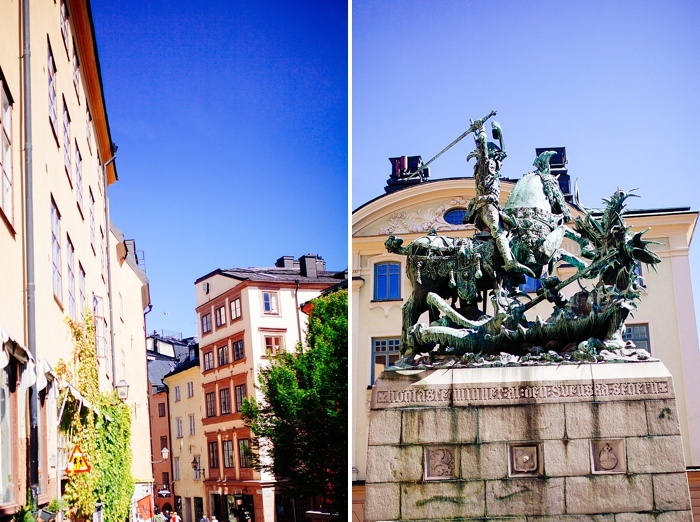 Stockholm is truly magical, especially on a sunny day! 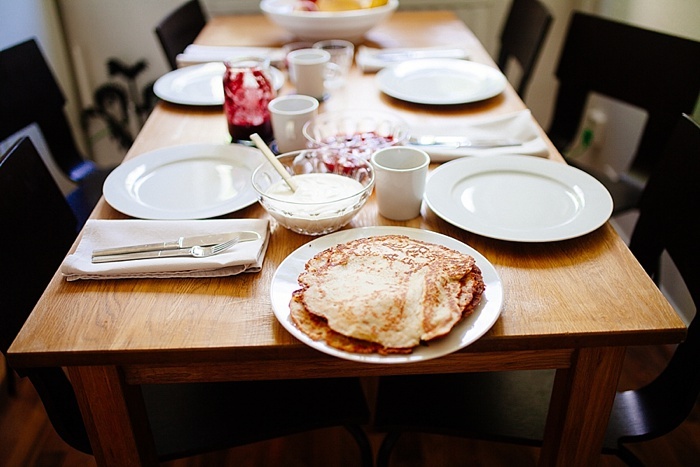 We started our day with Swedish pancakes (gluten-free…thanks Samuel! 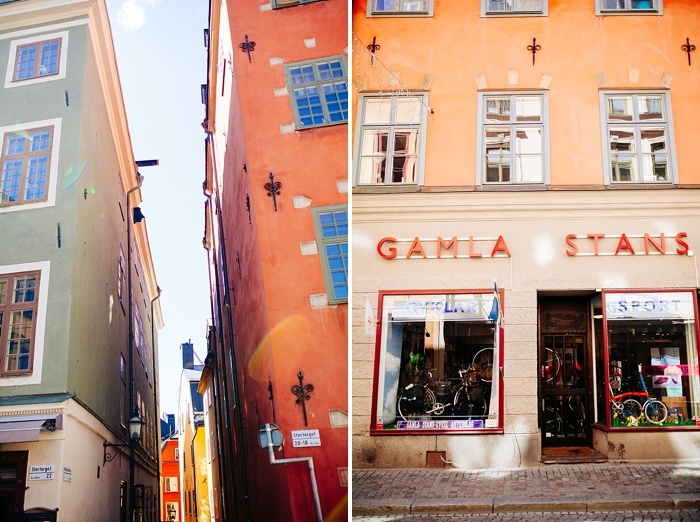 ), and then headed to the old city called Gamla Stan. 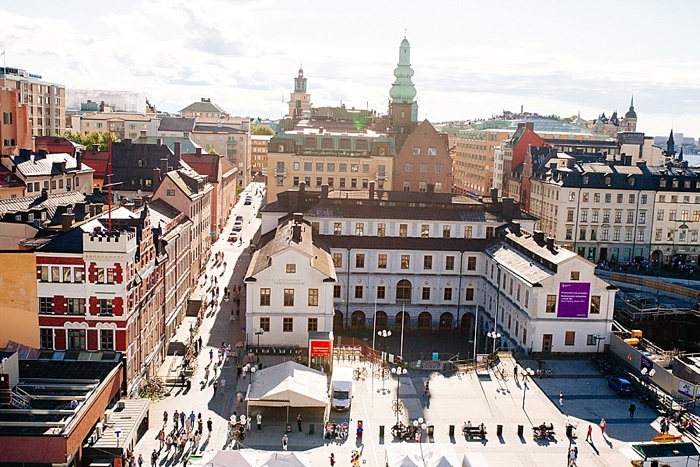 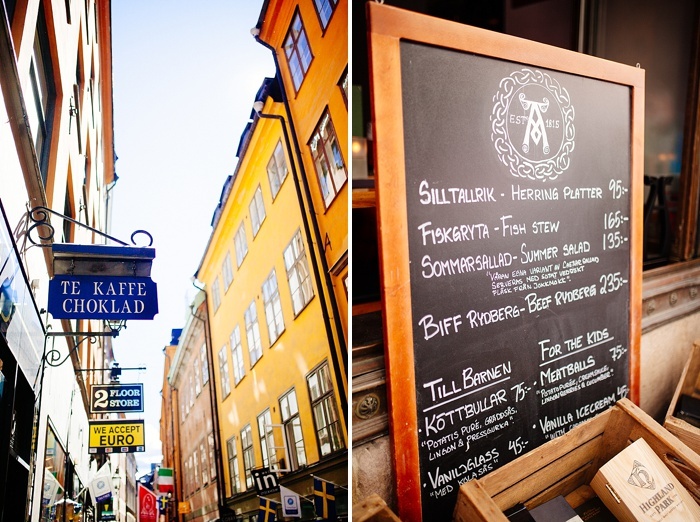 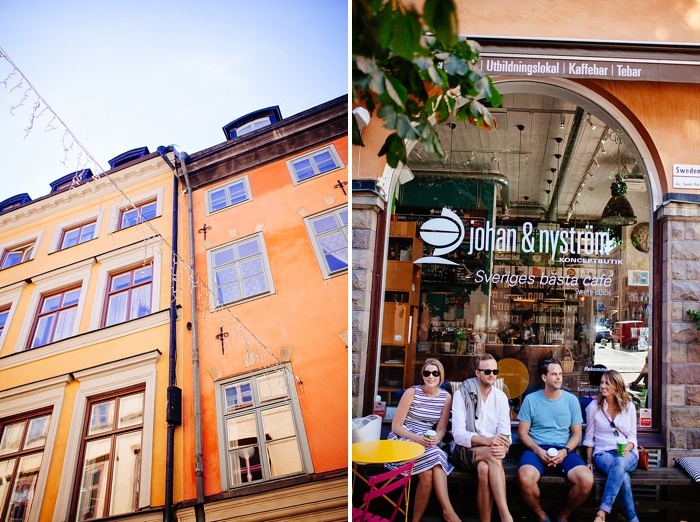 If you aren't familiar with Stockholm, check it out on a map. 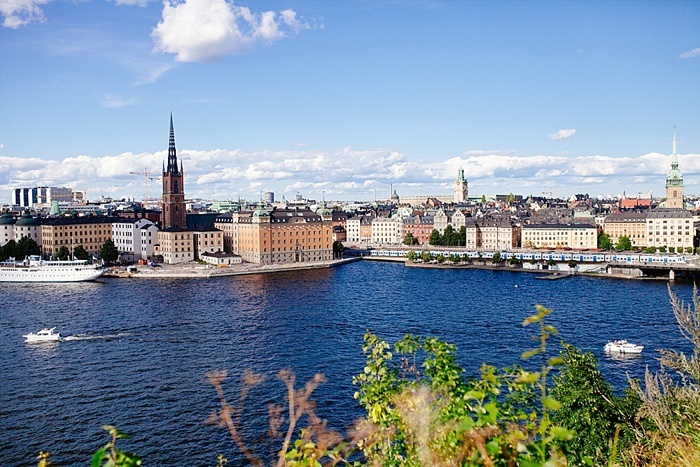 It's actually made up of a bunch of islands, and the whole city sparkles when the sun hits the water! 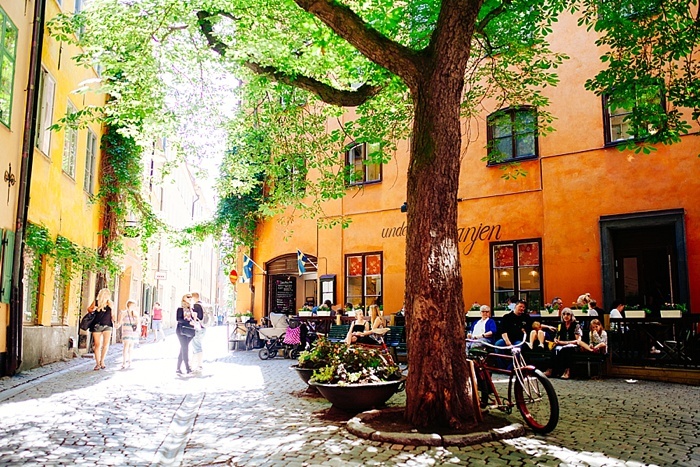 Gamla Stan is a tiny island that is accessible by bridge. 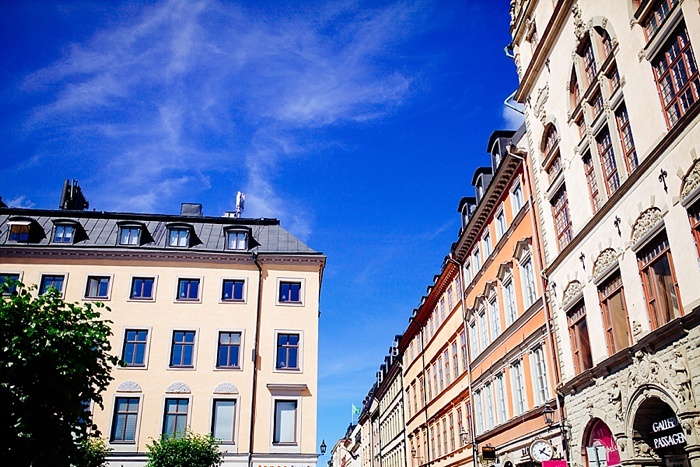 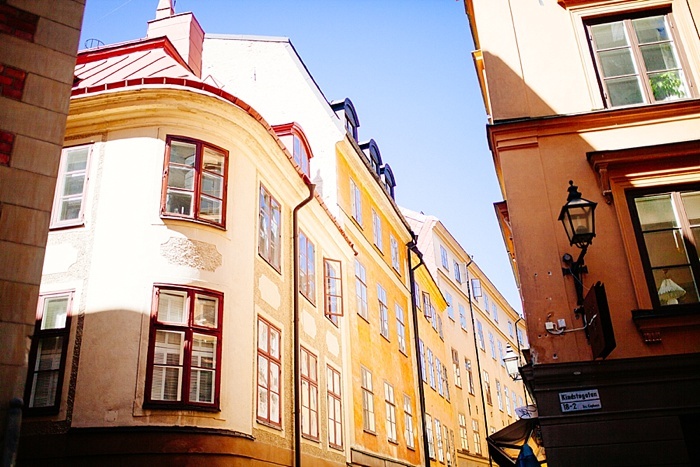 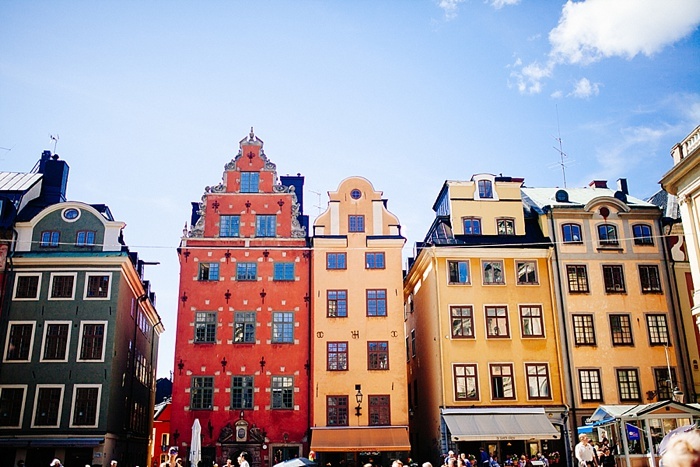 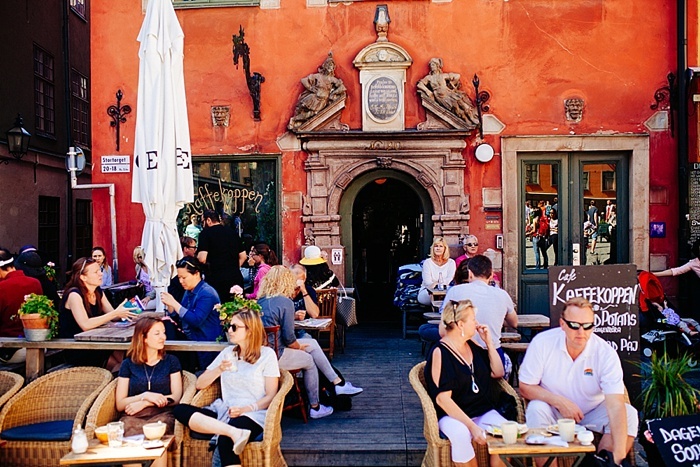 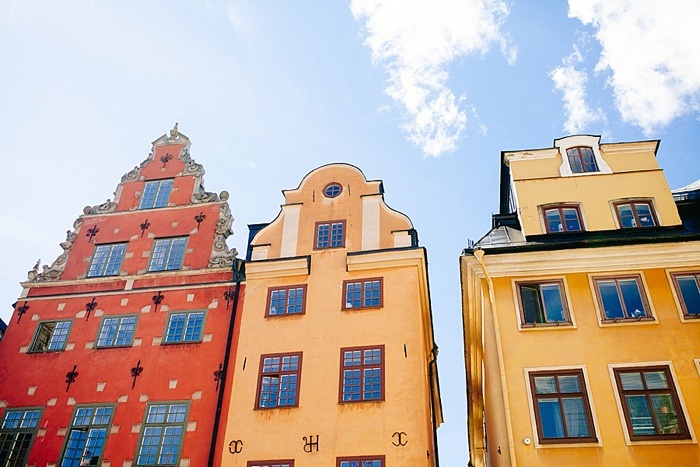 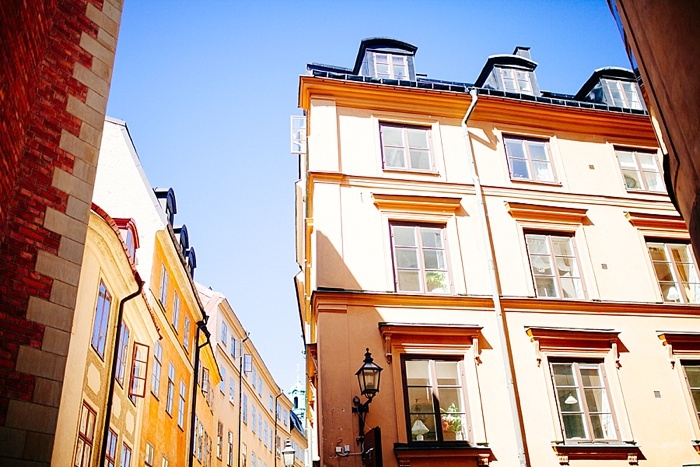 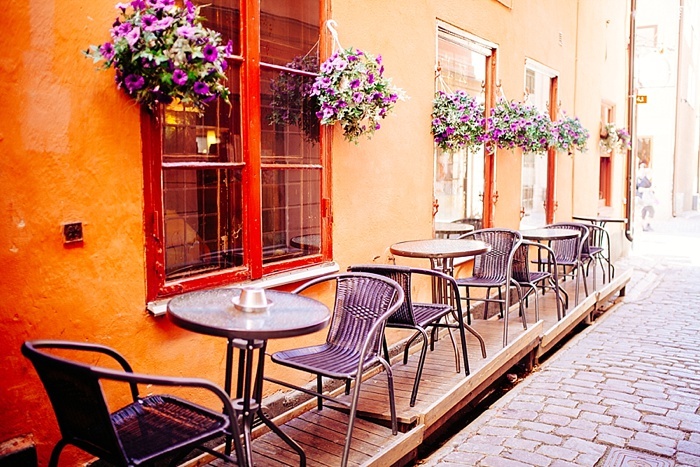 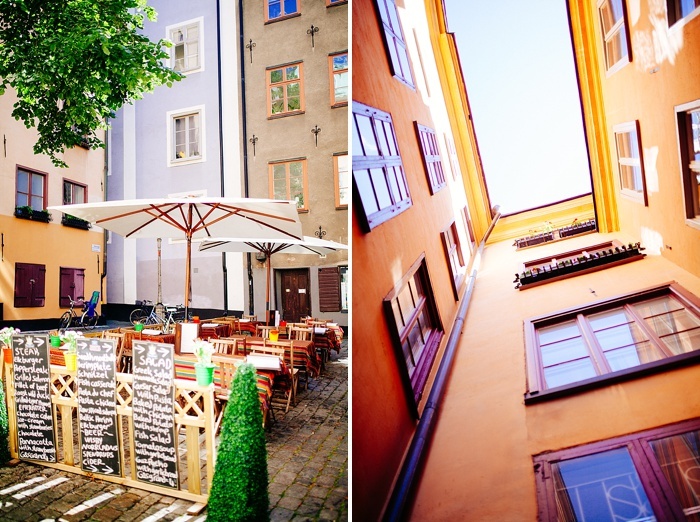 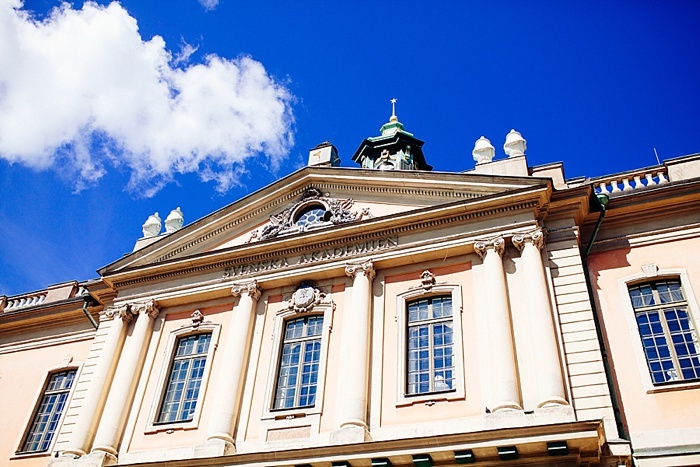 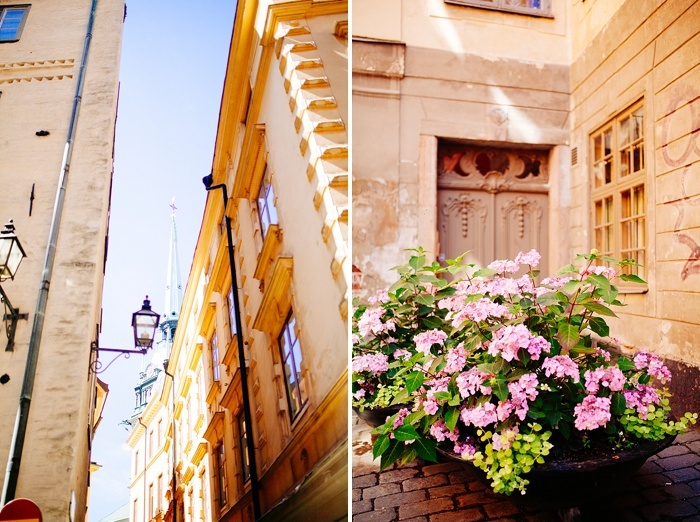 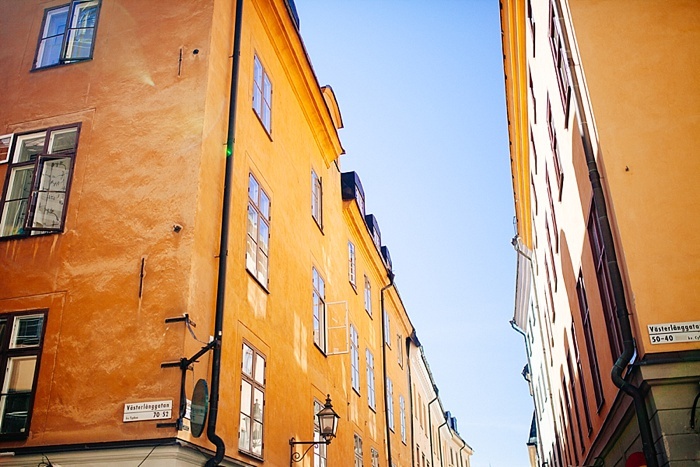 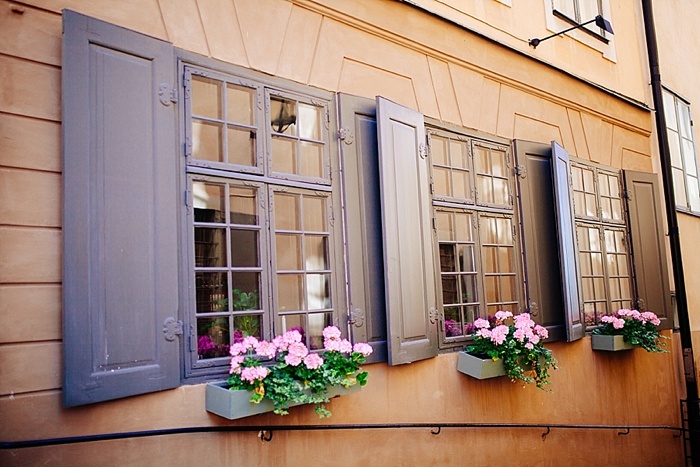 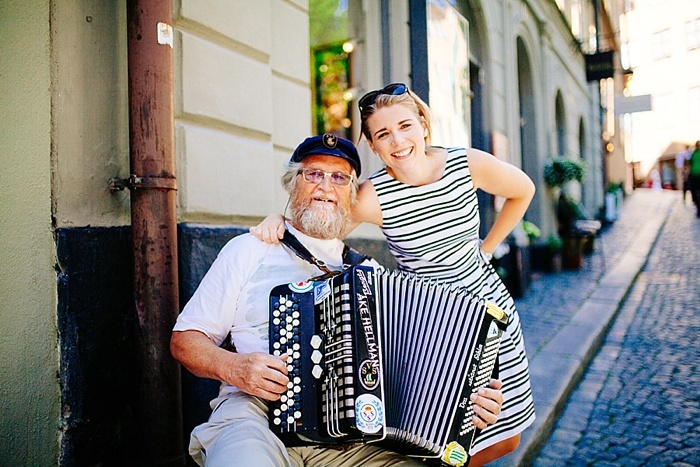 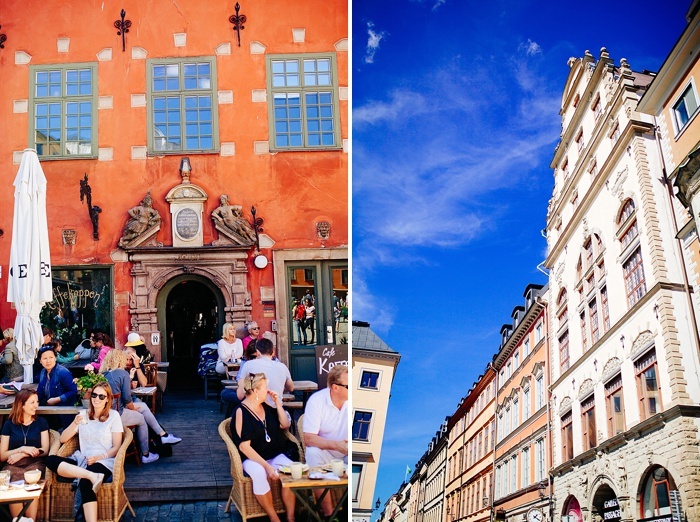 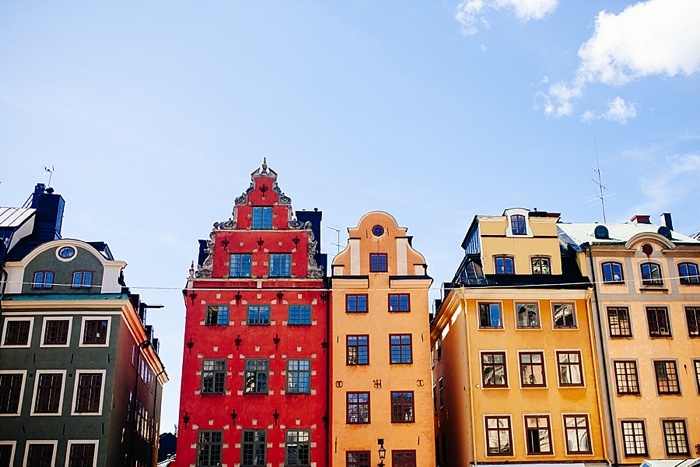 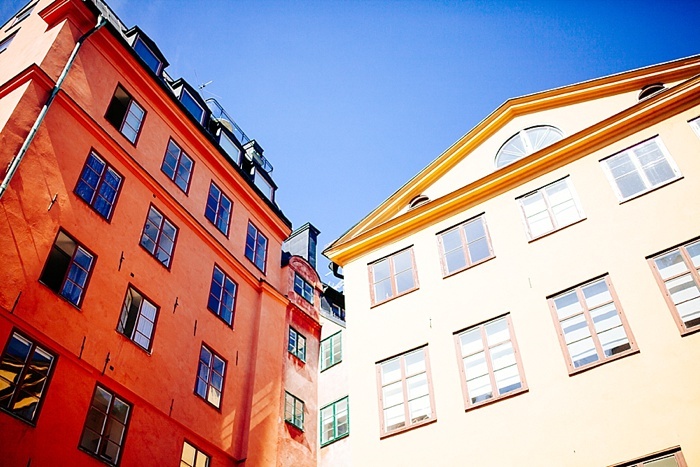 Lined with cobblestone streets, enchanting alleys, and colorful buildings, Gamla Stan dates back to the 13th century. 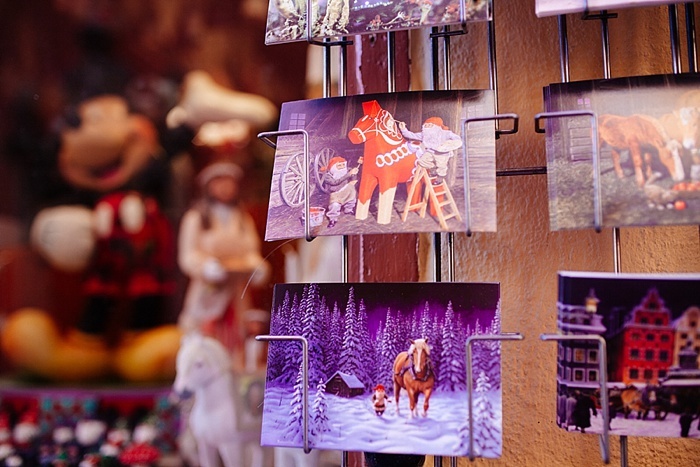 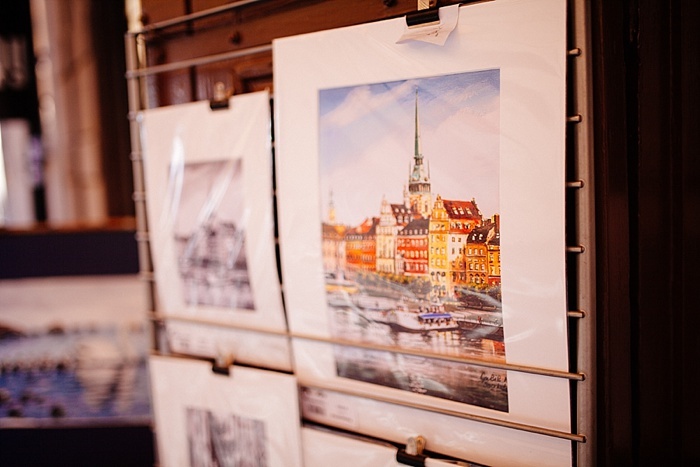 As the capitol's main tourist drag there are tons of little shops and souvenirs to behold. 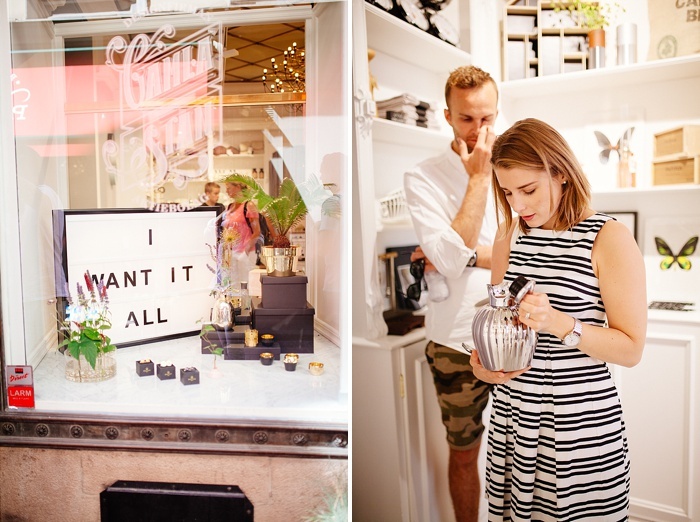 If you keep exploring, you'll find the most incredible shops... 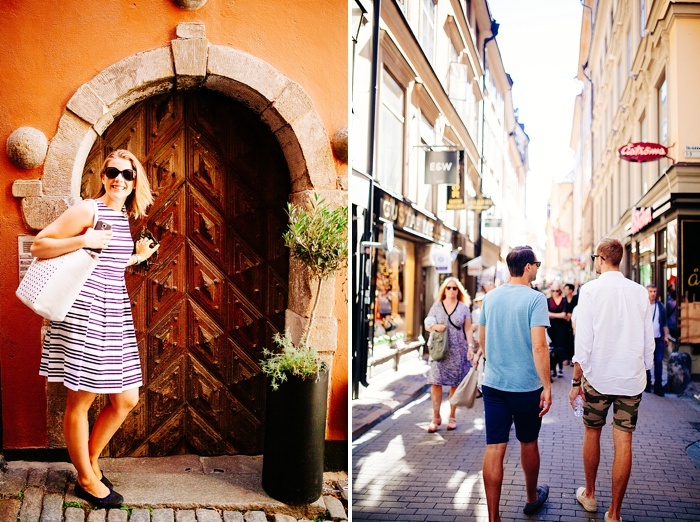 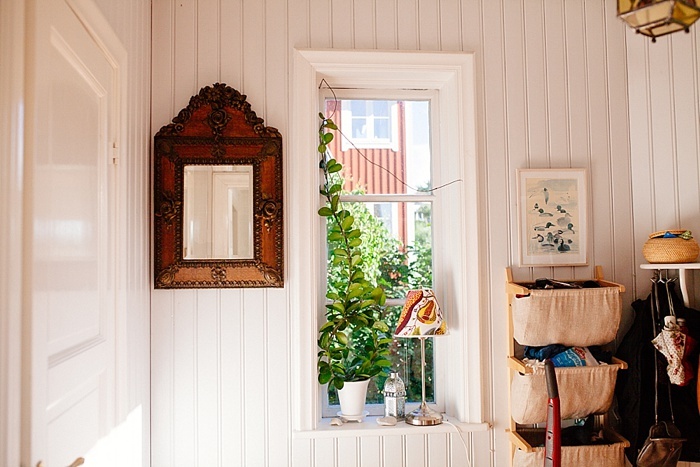 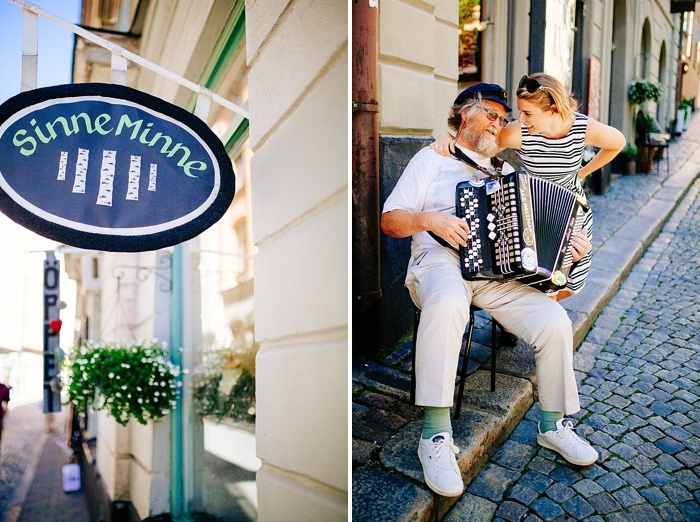 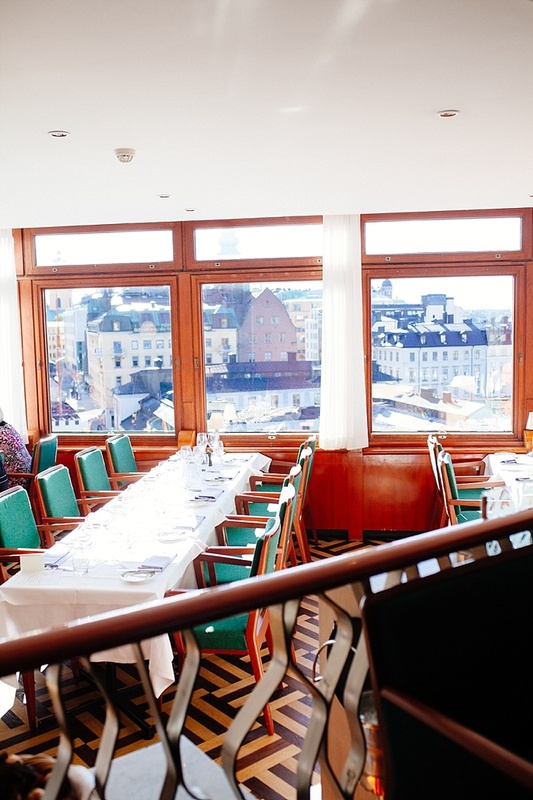 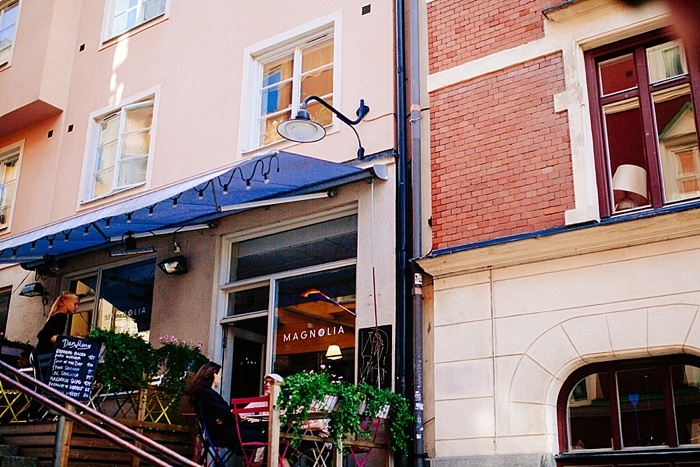 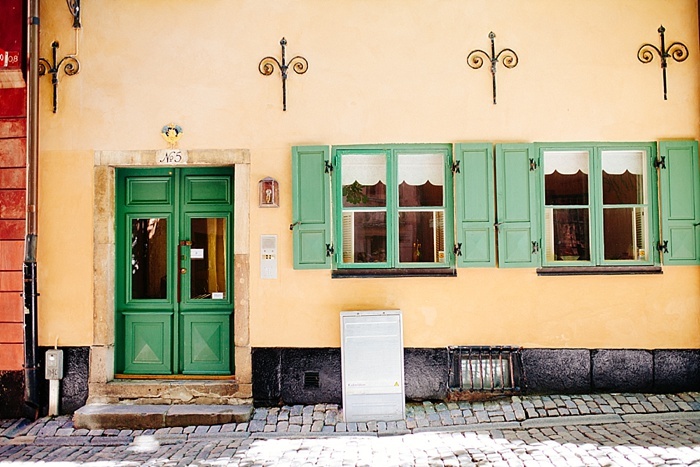 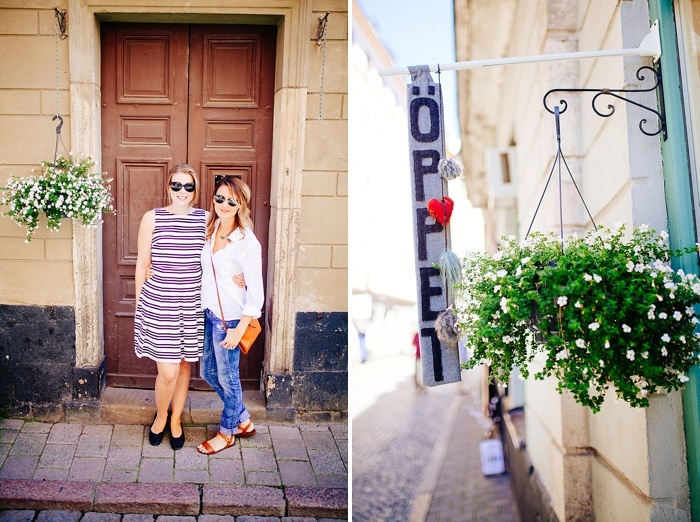 I've already gushed about how much I love Swedish Style (here), and you won't be disappointed when walking the old city. 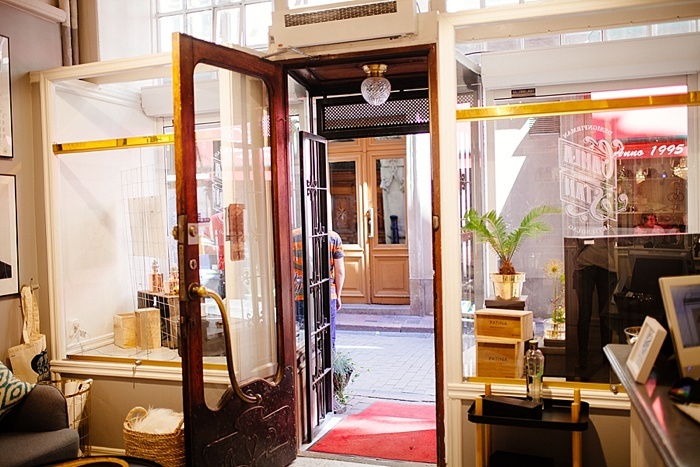 From shops carrying old maps, to modern lighting, to vegan pastries, it is the most quint little area to adventure through! 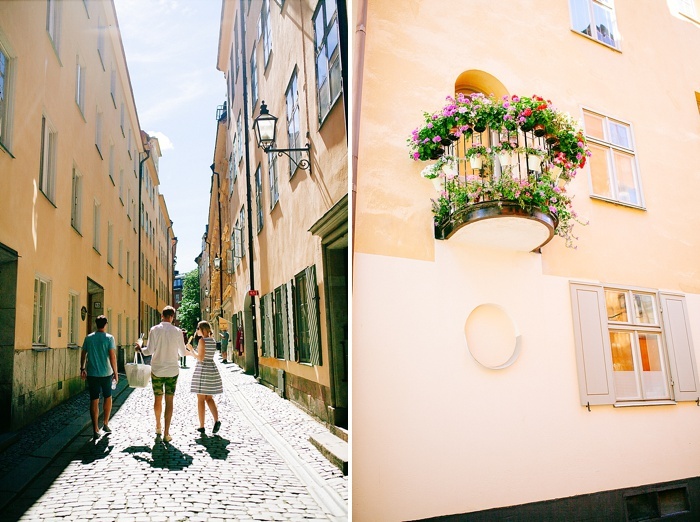 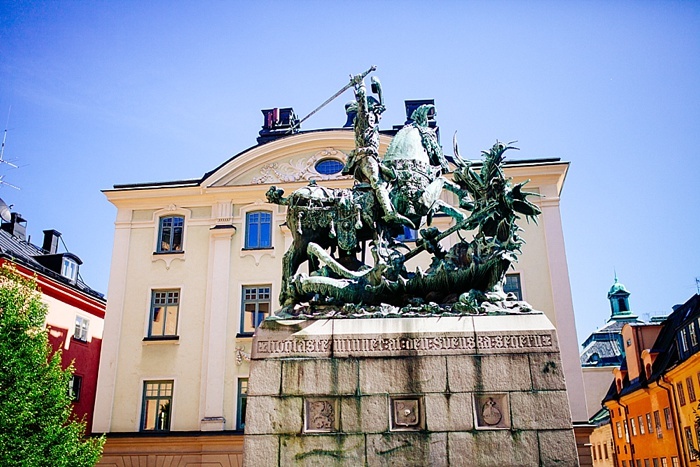 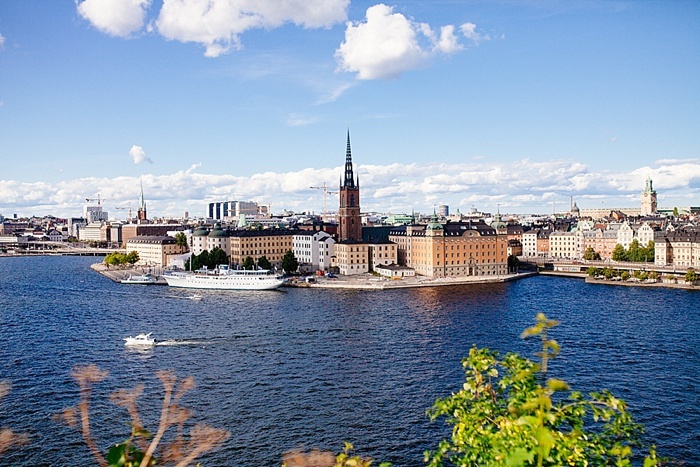 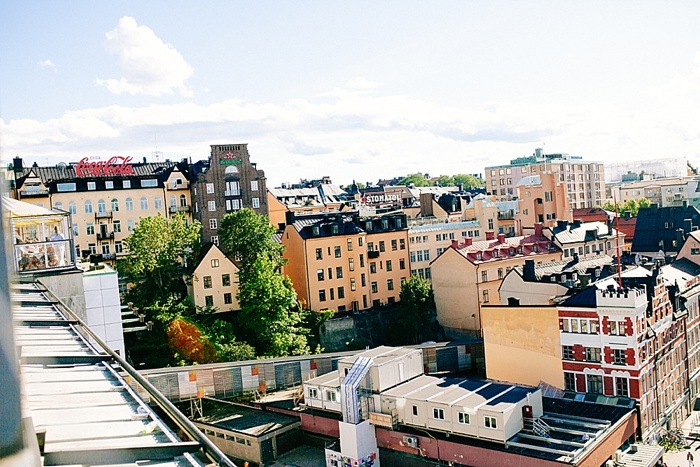 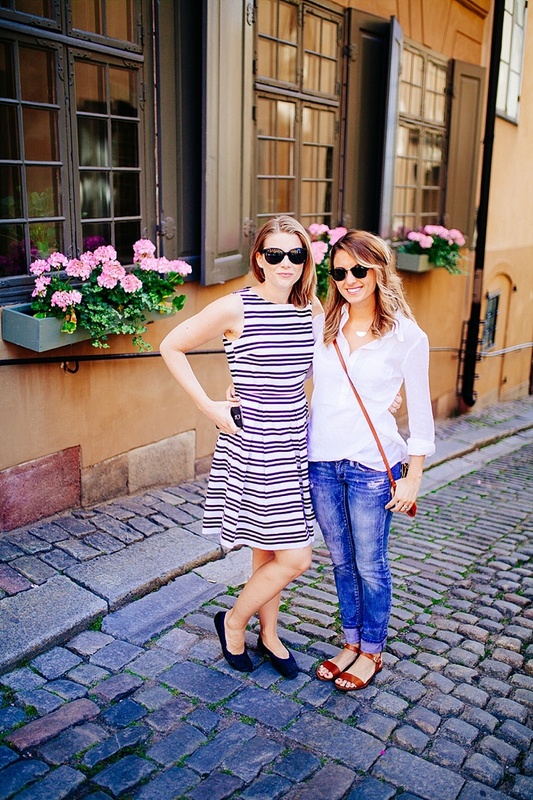 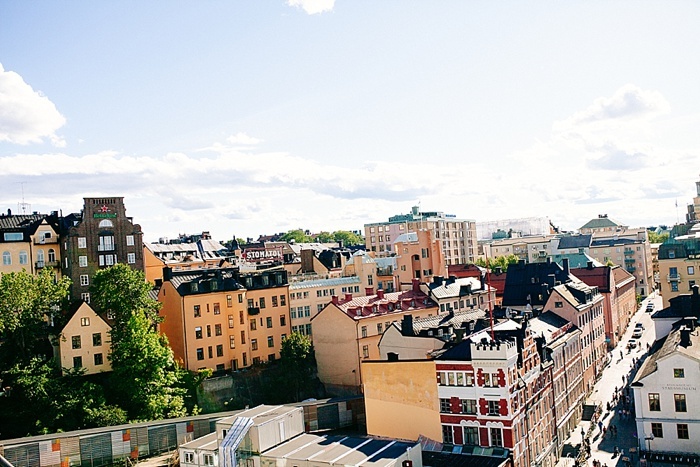 From Gamla Stan we headed to the island of Sodermalm. 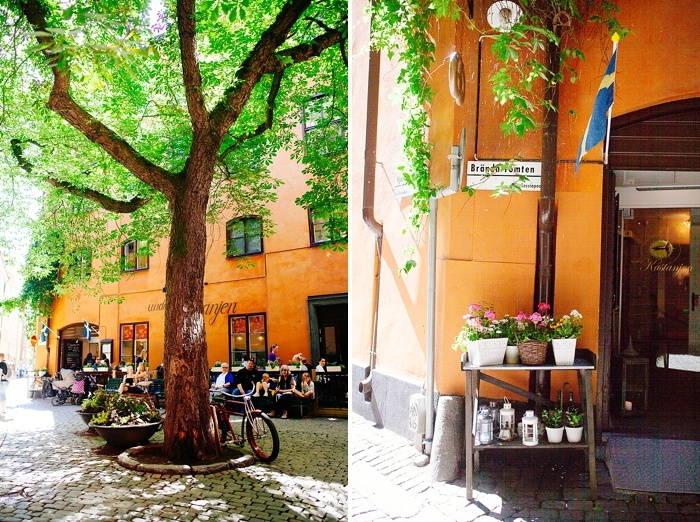 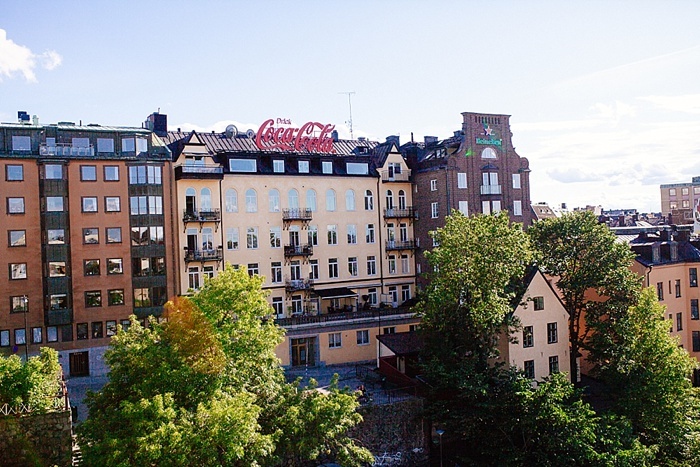 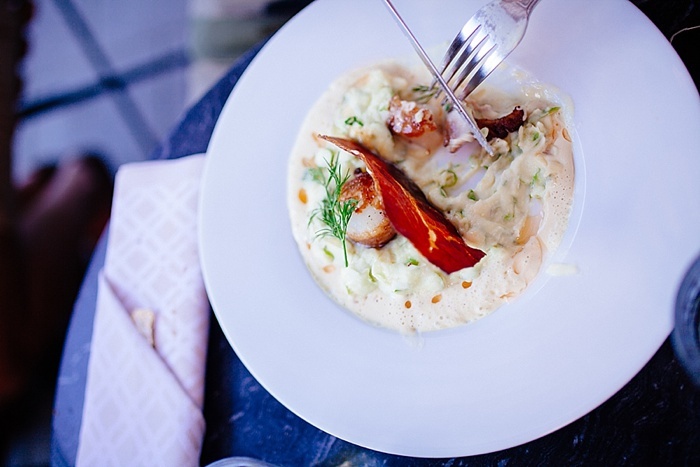 Historically a slum, and then a working class area, Sodermalm has now become a very upscale but bohemian place to live in Stockholm. 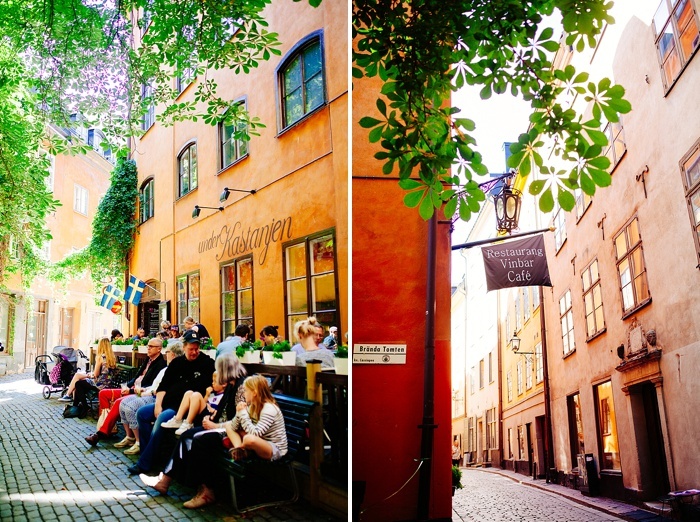 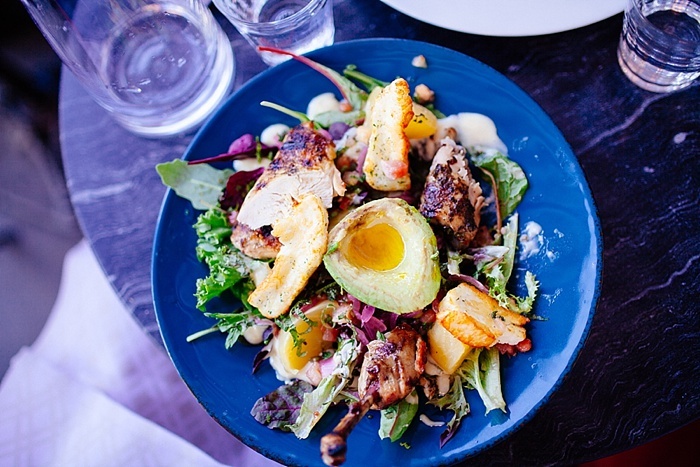 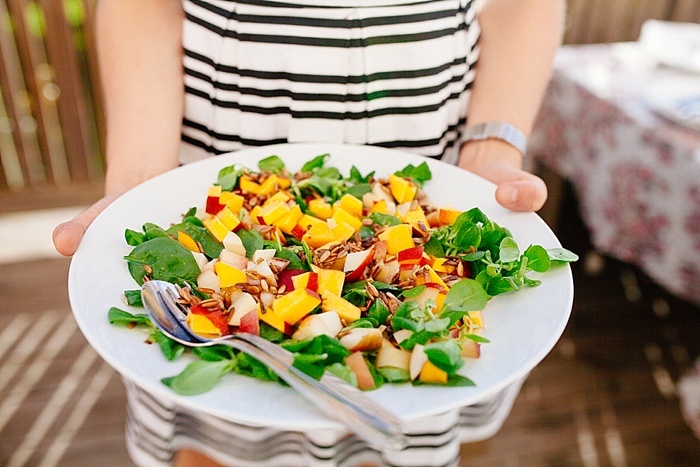 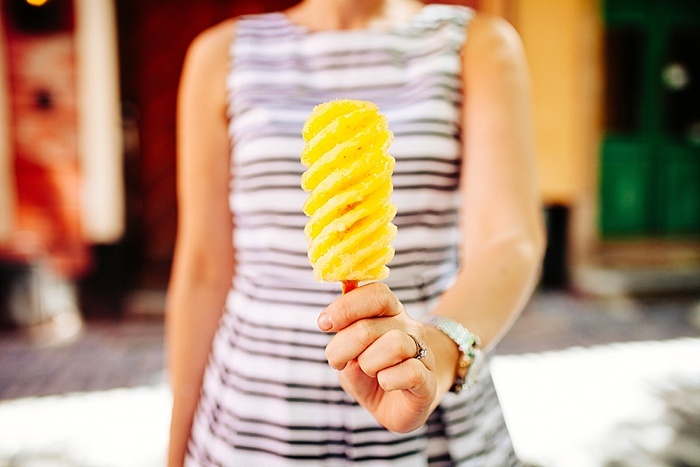 There are tons of fun restaurants and parks. 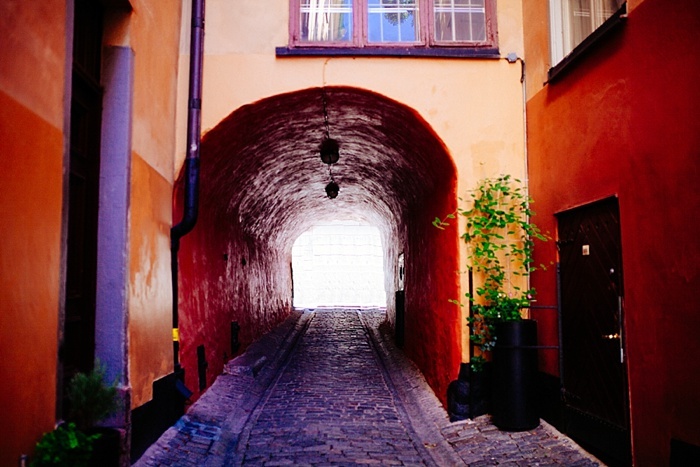 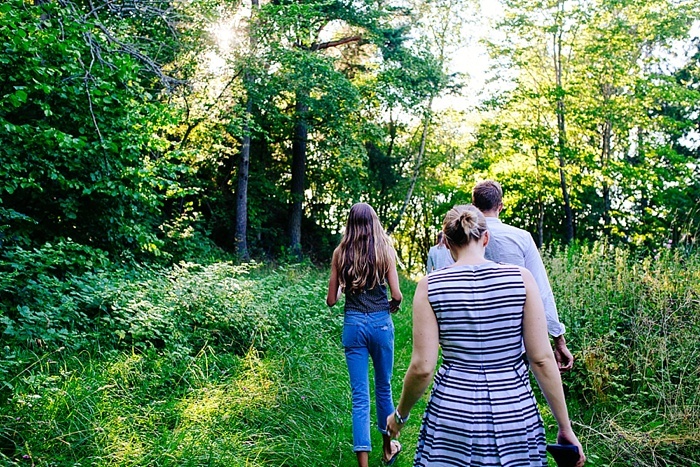 If you head towards the road called Soder Malarstrand, you'll come to a path where you can take a panoramic picture of Gamla Stan. 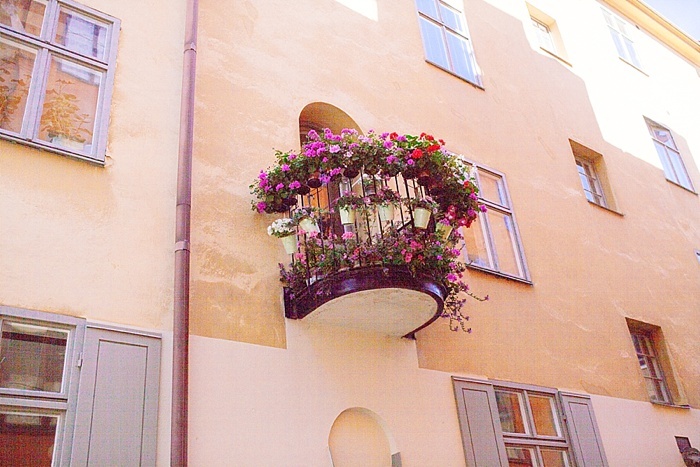 It's so gorgeous! 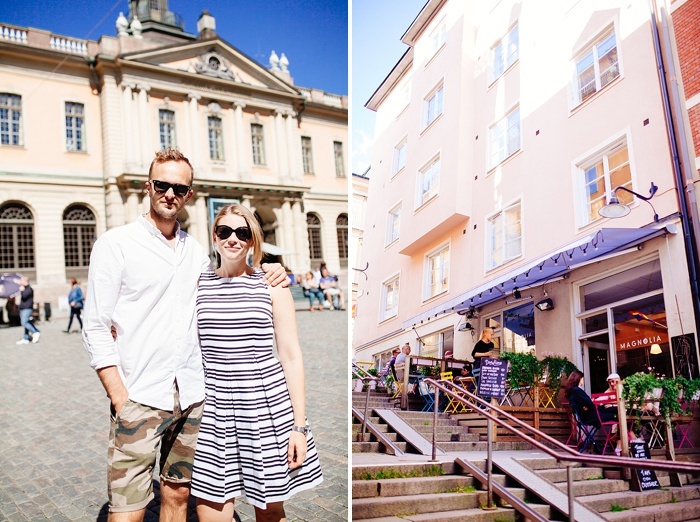 Samuel also used to work as a chef for a swanky restaurant here, so we checked out his old stomping grounds. 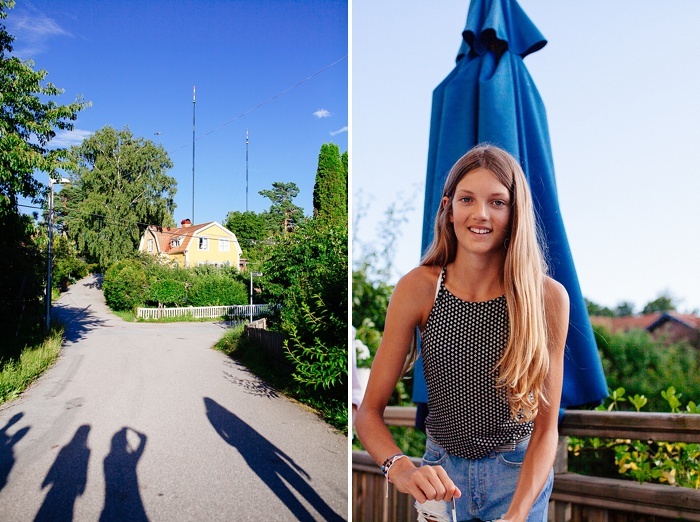 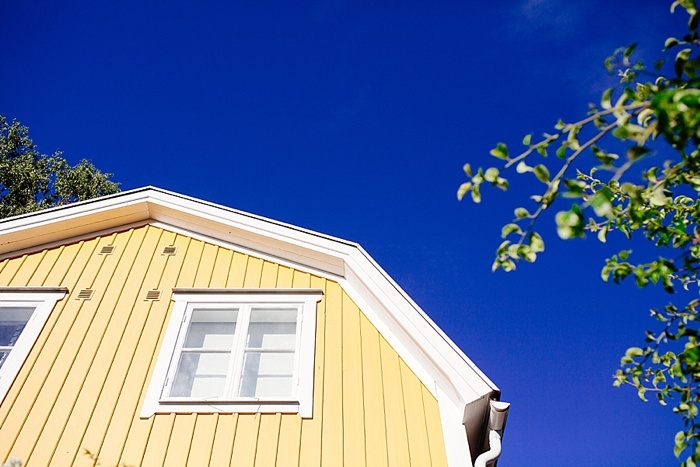 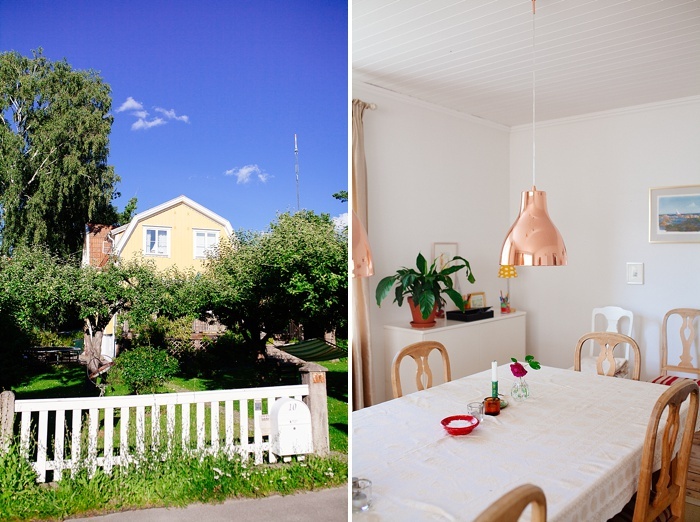 For dinner, we headed to our friends house in nearby Nacka, a gorgeous suburb of Stockholm with quaint yellow and red houses lining the lake water. 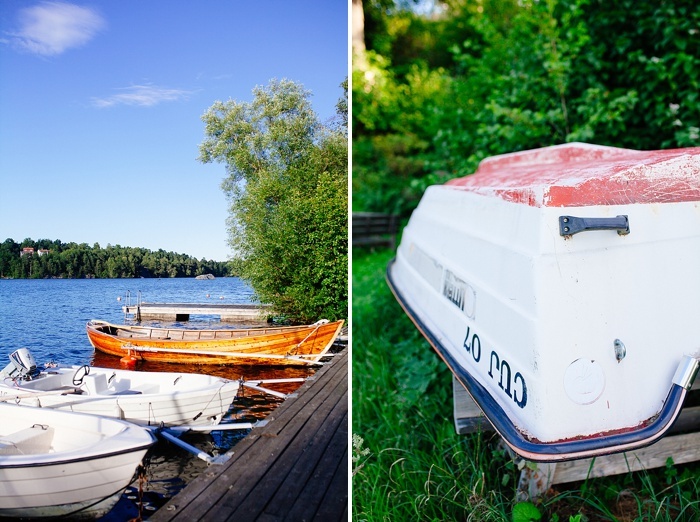 We ate outside, enjoyed their lake view, played games, and just enjoyed ourselves so much!